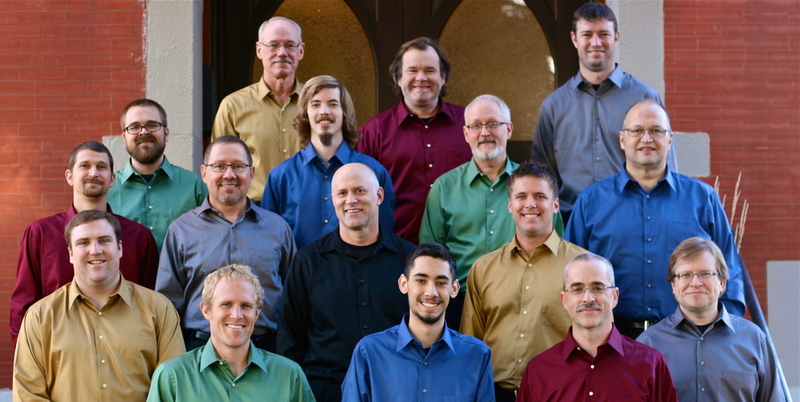 Sonnenberg Station men's choral ensemble has performed in more than 30 different venues to appreciative audiences throughout Ohio, from churches and businesses to universities and concert halls. Their repertoire features beloved classical pieces, contemporary tunes and everything in between, including several original arrangements by the group's director, Tim Shue. This season's six performances offer selections exploring the theme of "the wait and the walk," songs seeking a balance between moving forward and standing still. Some pieces focus on being content with waiting while pondering and being introspective, while others represent the walk--energizing, inspirational, and entertaining. All are delivered with Sonnenberg Station's own spin on traditional spirituals, familiar folk songs, and, as always, a few lighthearted surprises while representing a variety of cultures, eras, and styles. Catch Sonnenberg Station at any of this season's performances. Posted on February 5, 2014 by Denice Hazlett and tagged music choral ensemble men sonnenberg ohio spring 2014.